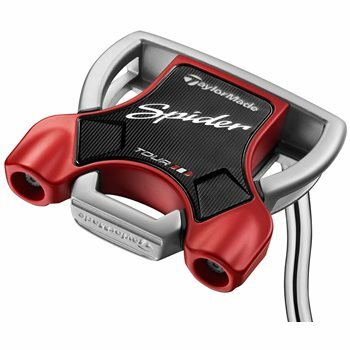 The TaylorMade Spider Tour is inspired by the tour proven design and performance of the Itsy Bitsy Spider head shape. The "Tour Chrome" body is designed to induce confidence and an emotional connection between you and the putter. It is built with a lightweight 6061 body paired with a 304 stainless steel frame that enables weight to be positioned at the extremities to improve stability and offer a high MOI. The Spider Limited also features a seamless top crown with a single, long sightline to promote consistent alignment and a Milled Pure Roll insert for better forward roll, increased accuracy and improved distance control. A vibration dampening PU foam has been embedded between the body and frame for consistent sounds and feel.